Mikhail Khodorkovsky | poemless. a slap in the face of public taste. 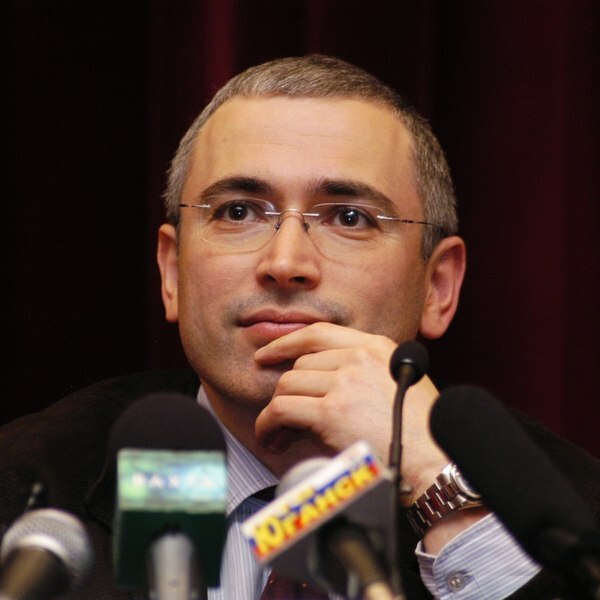 Why is Misha Khodorkovsky a Dissident? The definition of greed: the man wants to be an oligarch AND a dissident! Did you ever? I’m American. I grew up under the belief that Soviet dissidents were noble creatures. These days it is popular to dismiss that as a Cold War manipulation. In part it was, as becoming a political pawn was the price of such fame. But it was more than the fact that they were “on our side.” And it was more than the fact that they were unfairly treated and spoke out about it. They were speaking out not just to make a point about injustice, but in spite of it, and on behalf of people who dare not take those risks. Even putting aside the sometimes ideologically questionable or self-serving reasons for their dissent, it has to be acknowledged that they were prepared to make substantial sacrifices and that they, as a result of circumstances largely beyond their own making, were fighting for something that transcended themselves. They had ideals. And courage. It was inspiring. Sakharov did not speak out because he was unfairly persecuted. He was unfairly persecuted because he spoke out. He was an activist fighting for peace and human rights, something that all Soviet citizens could benefit from if achieved. And that’s what captured our hearts. Solzhenitsyn was not thrown in a gulag because he wielded unchecked influence which he was ready to use against any leader who did not fit squarely under his thumb. Sakharov was not prevented from travelling because he’d acquired disproportionate amounts of national assets which he was willing to sell to a foreign country. Power struggles, resource grabs… these things happen all the time in countries all over the world. They don’t capture our hearts. This is why I cringe when people place Khodorkovsky and Sakharov in the same category. Sakharov and Solzhenitsyn were punished for their words and thoughts. Words and thoughts that doubtless many, many ordinary Russians had thought themselves and perhaps even spoken in private. Words and thoughts that could land you anywhere from out of print to in front of an executioner, regardless of your station. Certainly Khodorkovsky thinks thoughts and writes words that don’t flatter the administration. Now that he’s in prison with not much else to do. But more than words and thoughts it was actions that put him there. Actions motivated by profit, not altruism. 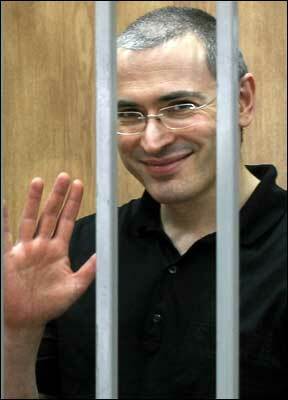 And what exactly is Khodorkovsky speaking out against? ~ The way the government is run? Get in line. Is anyone anywhere happy with the way their government is run? Is anyone who wants to be in power but is not not convinced it is due to a broken system and/or dirty elections? Does anyone really feel they live in a truly fair and democratic society? If anything, this form of dissent seems to actually confirm one’s existence in a relatively democratic society. Yes, he is in jail, but not for demanding democratic reforms. If that were the reason, Medvedev would have to check himself into the cell next door. And Latynina would be mining uranium. No, his demands were self-serving. ~ The way his company was taken from him? That’s a rather understandable grief. Even if he used questionable means to acquire his wealth, you have to admit it was snatched back through questionable means as well. But such a unique and personal offense can’t really elevate someone to the level of iconic dissident, can it? Oil companies are not exactly good human rights campaign candidates; they have adequate agency and voice. Usually it’s their victims who need our help. Oligarchs are people too, but very few of us could ever imagine ourselves in their shoes … complaining. How does the seizure of Yukos inspire you to advocate on behalf of human rights? I know, right? 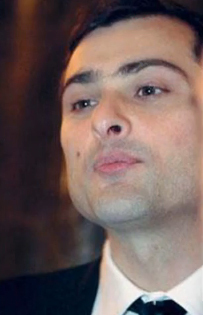 ~ The lack of transparency, fairness and accountability that plagues the Russian justice system? The irony of being able to afford the best lawyers money can buy and still not getting off in a corrupt legal system must drive Misha mad. But of all his complaints, the absence of a fair trail may well be his most valid. It’s a problem that does not just echo the frighteningly indiscriminate yet equally targeted abuses of rights in Soviet Union, but is a direct descendant of them. Unlike obscene private wealth or disproportionate power, most sane people agree that all humans have the right to a fair trail. Really difficult to argue against that. Even if you believe Khodorkovsky should be imprisoned. Which many people do. Making him a strange choice for poster child of Russian injustice. I mean, you would not expect a popular grassroots movement to form around Ken Lay, so why so peeved when Russians are not jumping on Misha’s bandwagon? Why not find someone who is really truly innocent, who has done no one no harm, languishing in a Siberian prison for that job? Well, there wouldn’t be much payoff in politically backing some filthy urchin, would there? Hell, since no one has made investments with the urchin, how would the WSJ even know where to find him, even know of his very existence? If you ask me, the only reason Misha Khodorkovsky is a high profile dissident is because Vladimir Putin offered him the job, and he accepted. Sure, he could have kept the cash and lived out the rest of his days abroad in Manhattan board rooms and Greek Islands. Forever estranged from his homeland and always looking over his shoulder. Better yet, he could have bent full over and signed a deal to keep his company and remain in Russia in exchange for giving Putin a cut of the profits and full political support. An unbearably boring existence, if the perpetual look on Roman Abramovich’s face is any indication. No, where’s the challenge in that? Our protagonist and his nemesis, while both men with political savvy and a talent for self preservation, have minds for myth making and historical narrative. One can’t be a respectable Tsar without some famous intellectual sulking in prison writing manifestos against him. And one can’t be a respectable dissident living a cush life in exile. It’s just a much better story this way. And that, dear readers, is why Mikhail Khodorkovsky is a famous Russian dissident. Not because he was the most noble candidate for the role or even plays it effectively. But because the powerful play goes on – and Misha took the part. It often happens that less deserving, but incredibly handsome actors are cast in important roles. We’re a shallow lot. Shallower even now that the Cold War is over and have gone from fetishizing poets and physicists to supermodels and international playboys. Instead of mewing that Khodorkovsky is cast in the role of the dissident, perhaps we should be thankful we have fewer poets and physicists eligible for the part. Instead of asking where the Sakharovs and Solzhenitsyns have gone, perhaps we should be thankful we can’t find them in the prison camps of Siberia. In fact, maybe it wasn’t just his good looks and money that got Misha the job. Perhaps he really is deserving of this fate.